Donald Wexler practiced architecture during what he calls the “golden age” of California architecture from the immediate postwar years through the 1970s. This was a time when architects enjoyed considerable freedom to employ new materials and technologies in their search for functionally beautiful architecture. 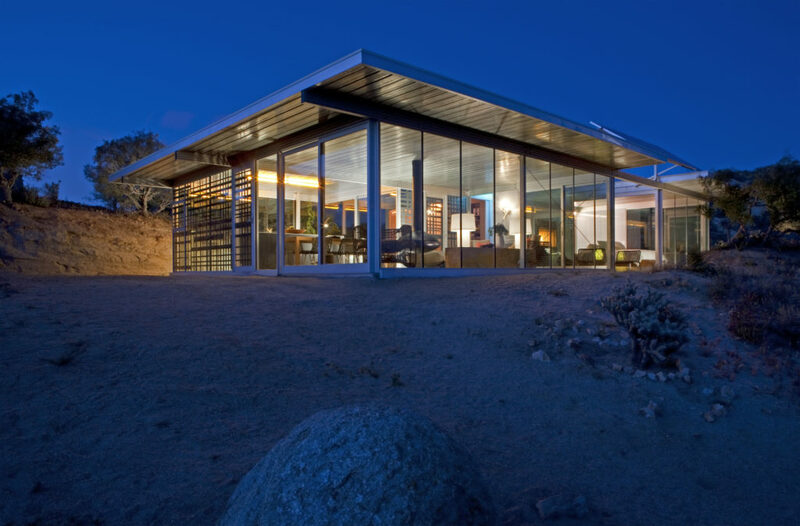 The extremes of the desert climate forced Wexler to develop a sustainable architecture, which was not only successful functionally, but achieved a timeless aesthetic appeal. During a career that spanned almost six decades, he designed numerous houses, condominium complexes, as well as banks, office parks and schools. Donald Wexler lived and was educated in Minneapolis, Minnesota, and graduated from the University of Minneapolis. He also did a tour in the Navy in World War II. He still considered himself a mid-westerner. Donald Wexler is about logic and efficiency. His architectural designed buildings fit together tightly, like machine parts. Nothing seems out of place and his details rarely distract from the whole design. Donald Wexler’s approach dates back many decades when architecture and design was supposed to be part of research and good thinking. 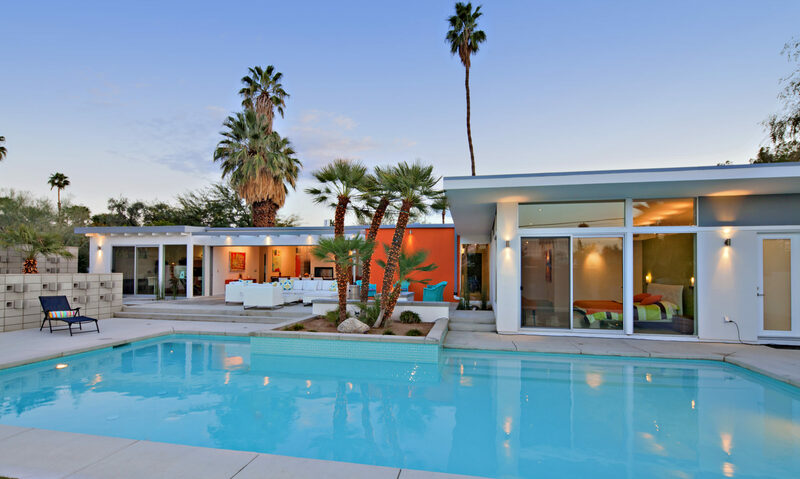 The Alexander houses that Donald Wexler designed almost four decades ago in North Palm Springs feature the “folded” metal roof that is his most famous motif design. It epitomizes the no-nonsense straightforward work of Donald Wexler. His designs are considered elegant, innovative, and very aware of climate. Donald Wexler’s buildings have a quiet intelligence for human beings. 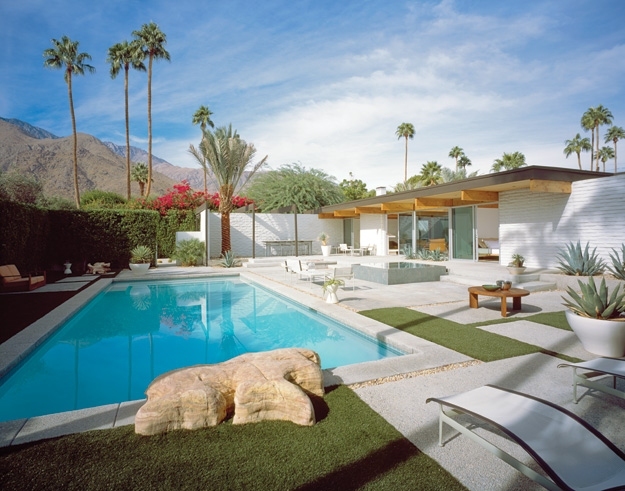 His classic designs include El Rancho Vista Estates (1960), Alexander steel houses (1962) Dinah Shore House (1964), Palm Springs Airport (1966), plus many dozens more houses, commercial buildings, and schools. Many of them were built of prefab steel which was very innovative. He is thought of as being very detail-oriented, and his designs are very well thought out. Donald Wexler considers steel, glass, and concretes the most appropriate materials for desert buildings, because they are inorganic according to him. They can take a beating of natural materials and do not require a lot of maintenance. 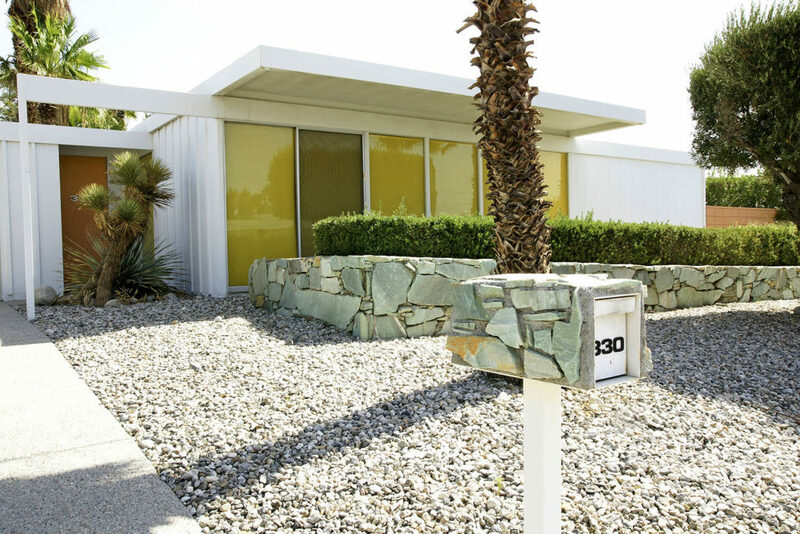 The Alexander’s in North Palm Springs are perhaps the best-known example of Donald Wexler’s preference for inorganic construction materials. Although, through his long career, which spanned the 50’s, 60’s and 70’s, he always listened to his clients’ needs but he never compromised. Donald Wexler is described as being relaxed, pleasant, and open-minded. He believes these decades were the golden age of architecture before we had so many code restrictions on buildings. Perhaps Donald Wexler’s legacy is still more remarkable because of the constraints he set for himself: To remain a small office and to build almost entirely in the Coachella Valley.